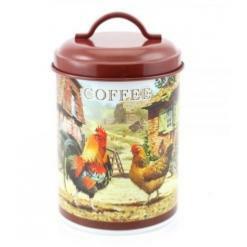 This Cockerel and Hen Coffee Canister has a beautiful classic country design on it. A practical and great looking item for storing coffee in your kitchen. Other items in this range are also available.